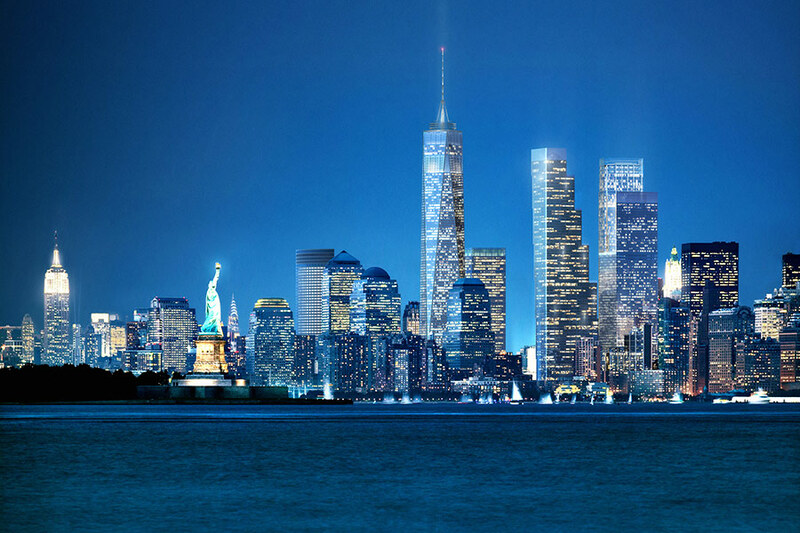 In late 2005, Norman Foster unveiled his design for Two World Trade Center—an 88-story tower capped in four diamonds to direct the eye down toward the 9/11 Memorial, which, at the time, was still years from completion. Then, the World Trade Center site was still in the design phase, and Bjarke Ingels was a little-known architect from Denmark. 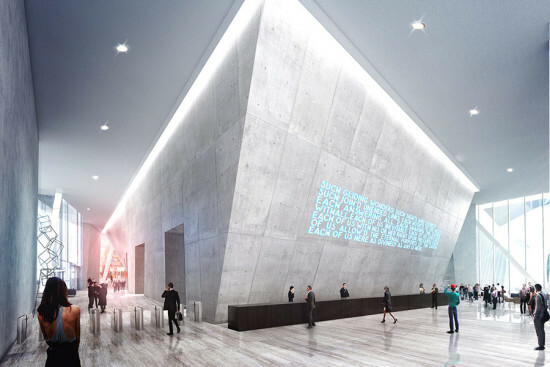 But in the decade since, Ingels’ rise has been nothing short of meteoric. 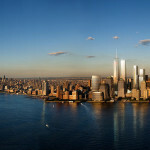 Now, Wired has the story that proves what has been reported for months: the Bjarke Ingels Group (BIG) will replace Foster + Partners at Two World Trade Center, the second-tallest of the cluster of towers in Lower Manhattan. 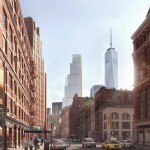 The 1,340-foot-tall skyscraper is being developed by Silverstein Properties and will serve as the joint headquarters for Rupert Murdoch’s News Corporation and 21st Century Fox. 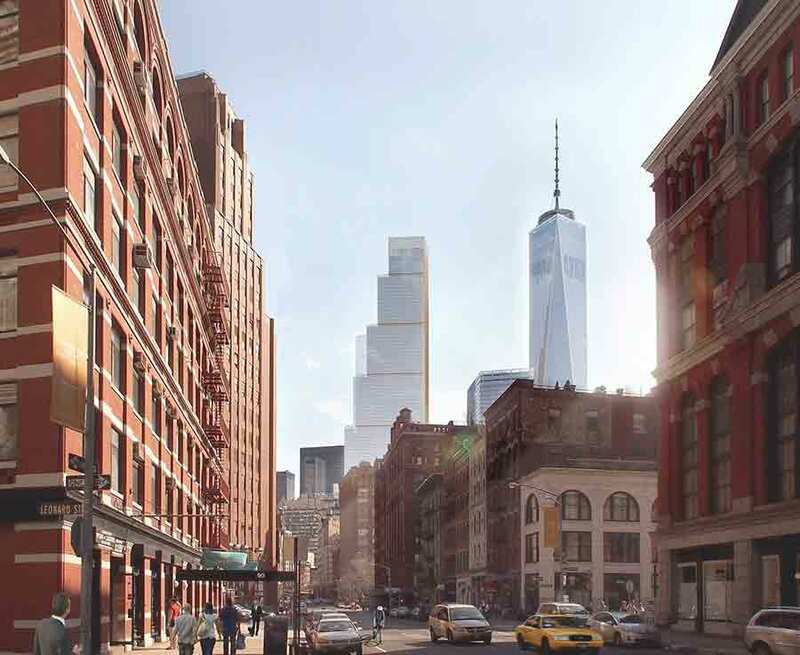 If BIG’s building does, in fact, rise, then the final tower at the 16-acre site will have been designed by a firm that did not even exist when rebuilding began. 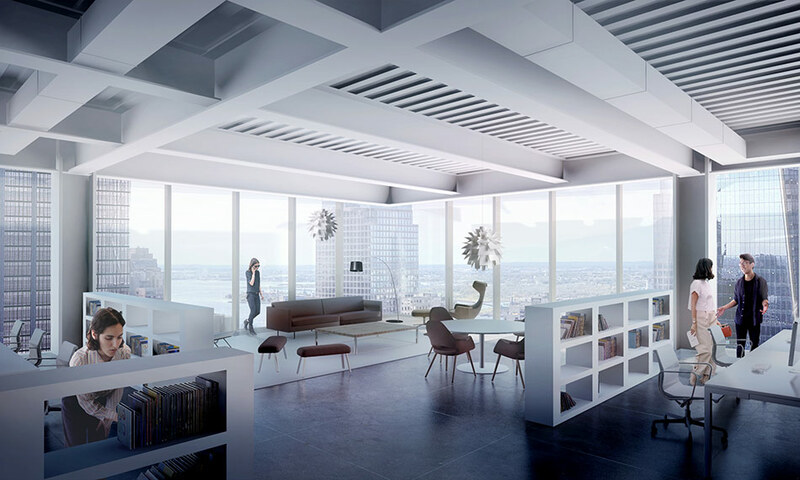 With BIG’s growing portfolio of push-the-envelope architecture, the easy assumption for Two World Trade was that the building would step into the complicated—and politically fraught—site and loosen its buttoned-up, corporate aesthetic. 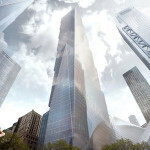 If the redesigned tower accomplishes that, then it certainly does so gently. 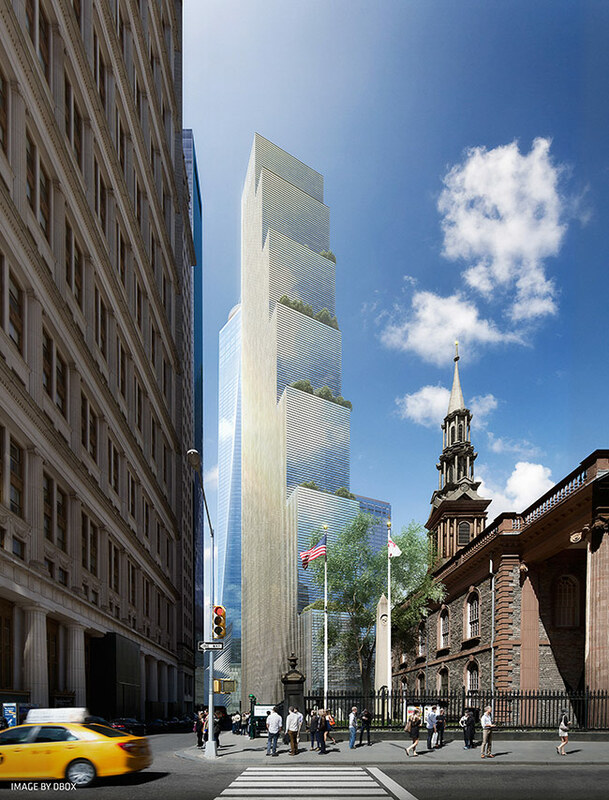 But from every other vantage point, the tower appears like a staircase—or a classic mid-20th century Manhattan ziggurat-style building. 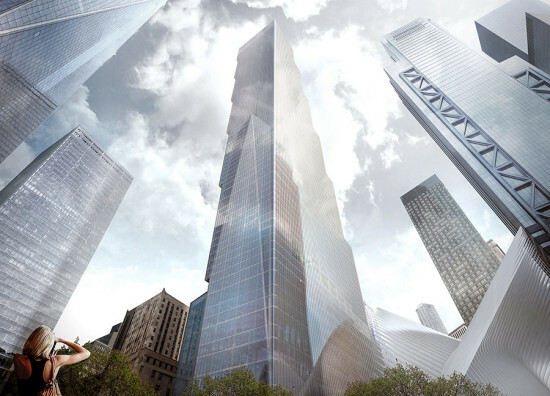 The structure’s massing appears as a series of seven, 12-story boxes that climb upward, stepping toward SOM’s One World Trade next door. 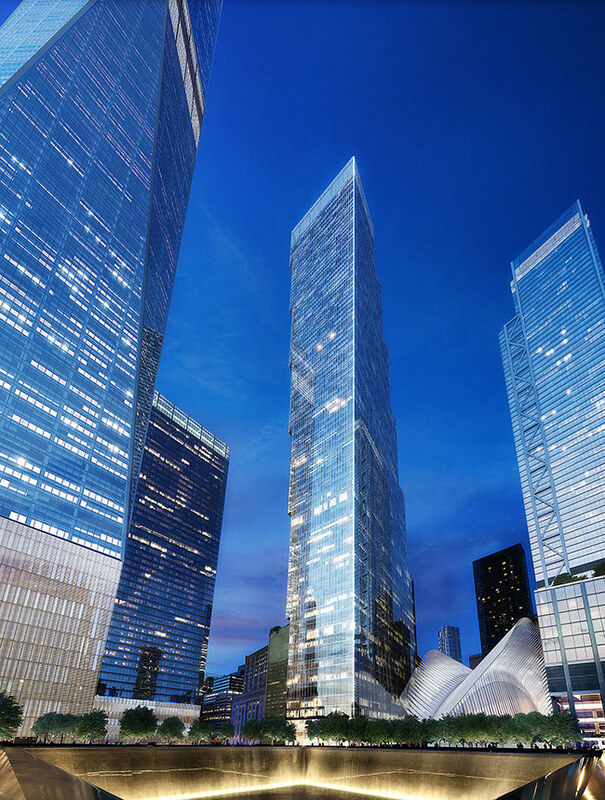 “On one hand it’s about being respectful and about completing the frame around the memorial, and on the other hand it’s about revitalizing downtown Manhattan and making it a lively place to live and work,” Ingels told Wired. 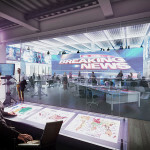 BIG’s involvement with the project came about after James Murdoch, Rupert’s 42-year-old son and a 21st Century Fox executive, reportedly expressed concerns over Foster’s design. 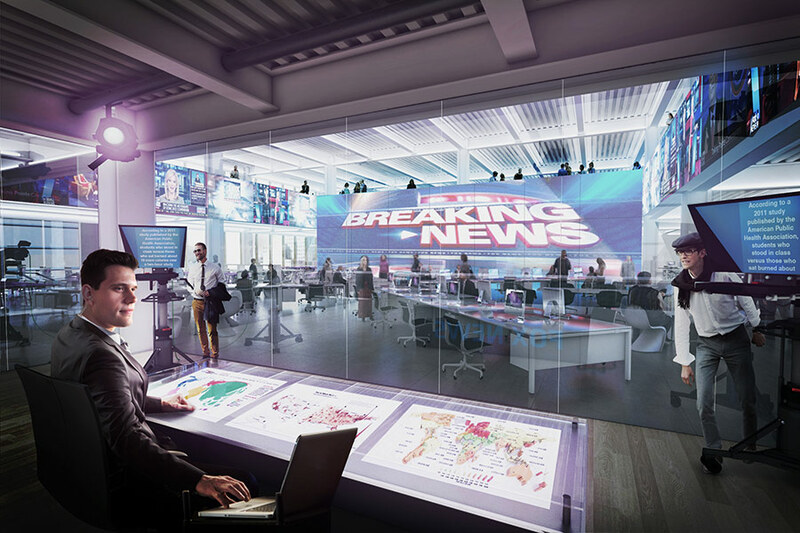 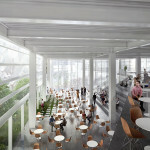 James Murdoch was looking to create a more open-plan work environment. 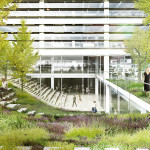 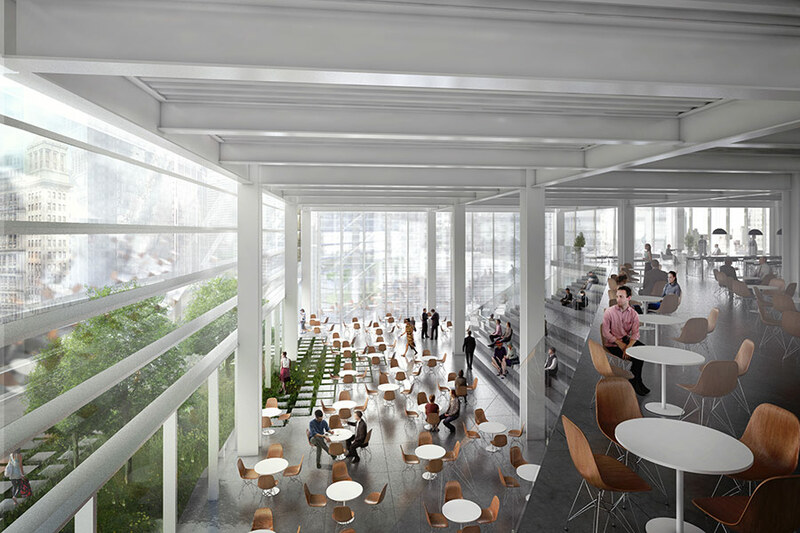 And BIG has experience doing just that—the firm recently presented designs with Heatherwick Studio for a sprawling Google headquarters complex comprising a series of glass canopies. 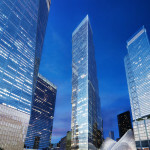 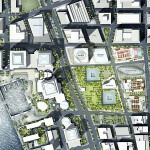 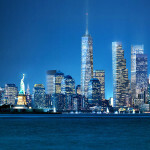 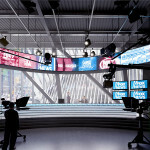 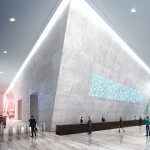 At the World Trade Center site, BIG’s main assignment was to take the spirit of a Silicon Valley, open-air campus and squeeze it into a Manhattan skyscraper. 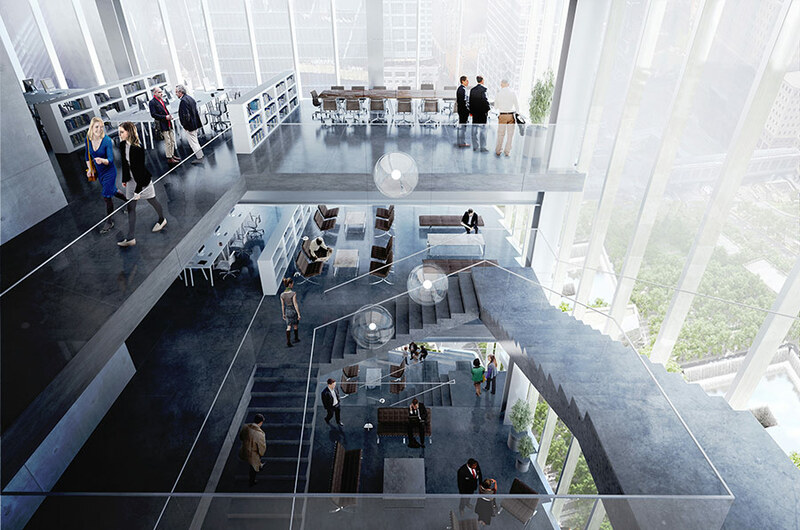 On a practical level, that’s no easy assignment. 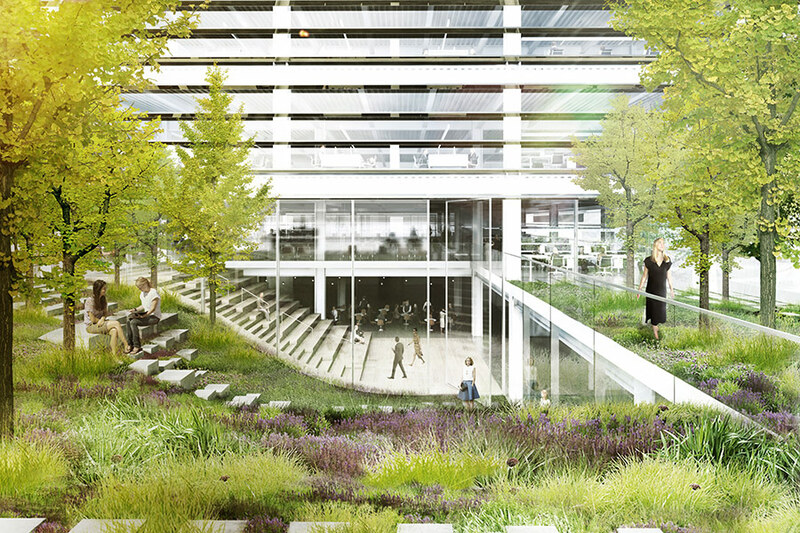 But through generous setbacks, the building offers space for heavily planted gardens that at least serve as a nod toward the corporate campuses on the West Coast. 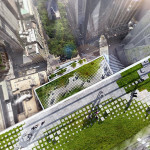 Or so it would seem; Wired reported that the gardens are “supposed to evoke varying climates, from tropical to arctic.” But this is New York, not California, so by December all the gardens might lean toward the latter. 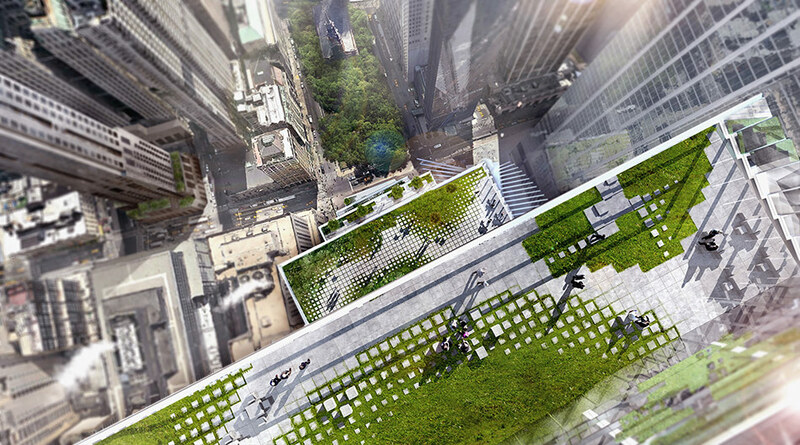 Underneath these gardens, on the tower’s cantilever reveals, are digital news tickers that will display headlines from the news giant operating inside. 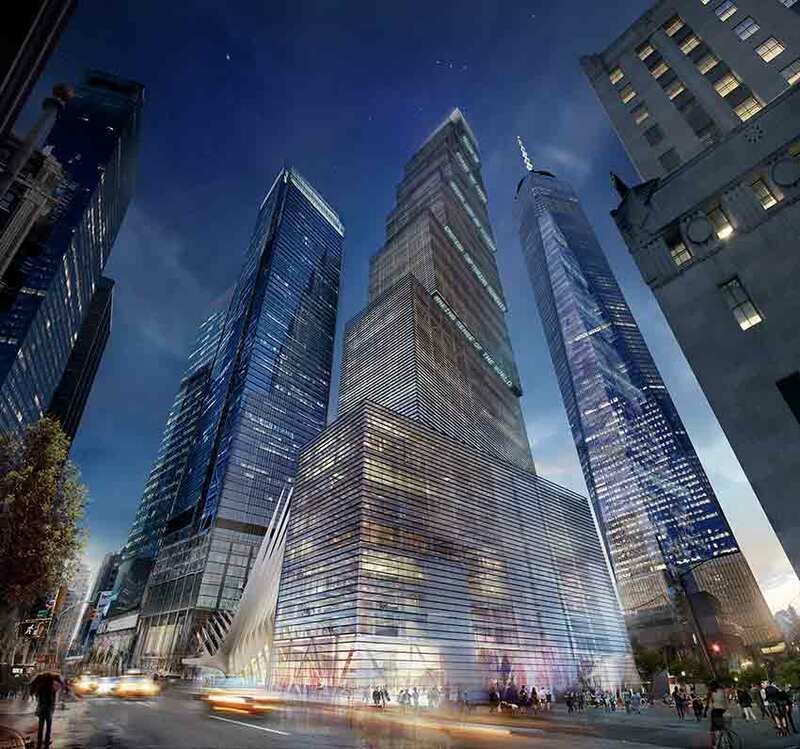 Among the other challenges for BIG in redesigning Two World Trade was working within existing realities of the World Trade Center site—and a foundation structure that had already begun construction. 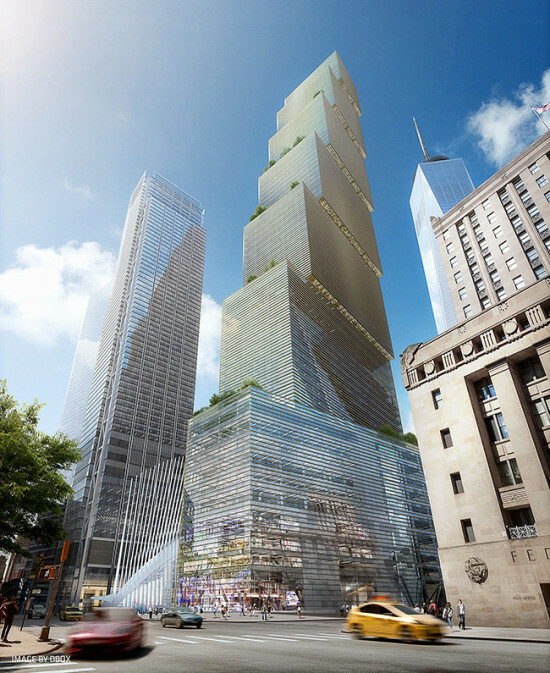 The tower’s foundation is already set according to Foster’s plan and includes air vents from the neighboring transportation hub. 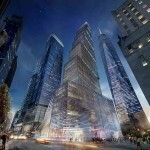 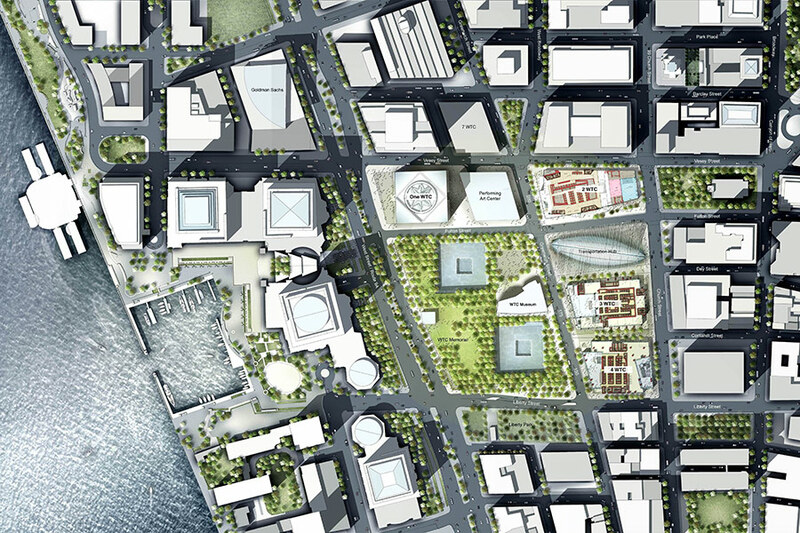 The new tower is also aligned along the axis laid out in Daniel Libeskind’s master plan. 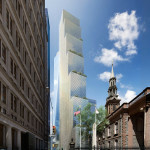 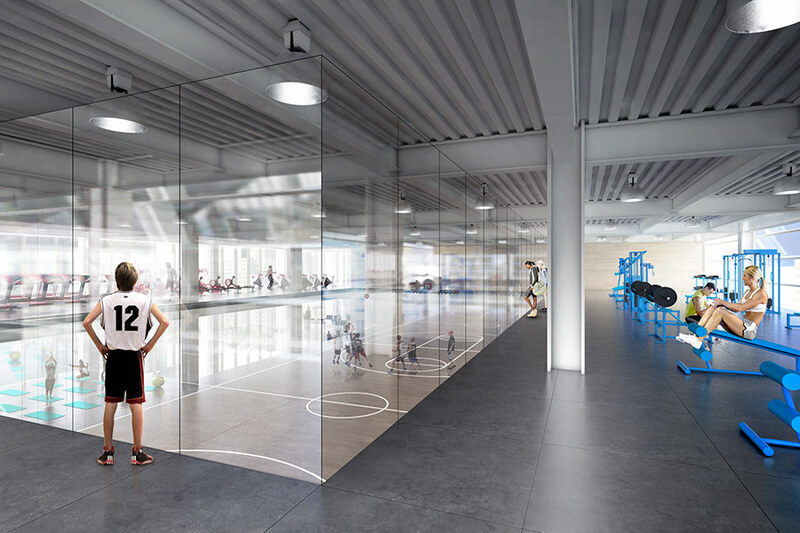 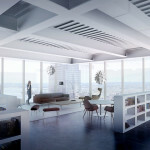 When it came time to sell BIG’s new design to the developer and client, Silverstein and Murdoch were initially skeptical. “I hadn’t seen a building like this beforehand, I hadn’t considered a building like this before, and certainly there was nothing down at the Trade Center to indicate that this would be a trend for tomorrow,” developer Larry Silverstein told Wired. Rupert Murdoch apparently agreed, but after the philosophy of the building was explained—and Ingels is a talented storyteller—Silverstein and Murdoch were on board. 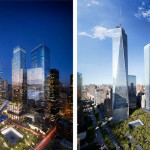 The architects behind the World Trade Center’s other three towers—David Childs, Richard Rogers, and Fumihiko Maki—all gave their blessing as well. News Corp. and 21st Century Fox recently signed a non-binding letter of intent to build Two World Trade, which brings the project closer to reality. 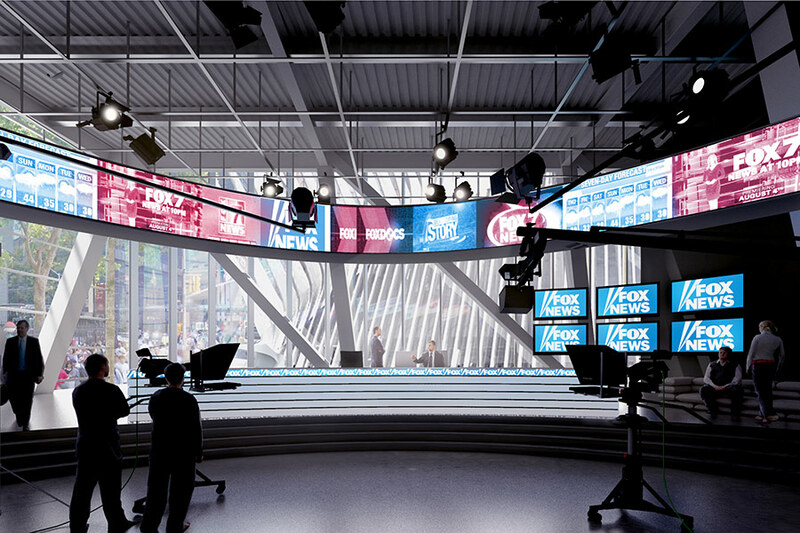 And if all goes according to plan, Murdoch’s media empire should be setting up shop in Lower Manhattan as soon as 2020.